Meeting at Dochgarroch Locks, we issue a suitably sized personal buoyancy aid and paddle to everyone. After a short safety briefing, we launch onto the Caledonian Canal and head off on a mini adventure. Paddling across Loch Dochfour exploring on the route towards Loch Ness. Once on Loch Ness, we offer the group an opportunity to land on Lochend beach or by Aldourie Castle to stretch their legs and have a tea break. Here you can sit back and enjoy the stunning view looking down Loch Ness, with a little local history, plenty of opportunities to look for Nessie and take photos. towel & complete change of clothes for afterward - can be taken or left in your car! Age: This trip is suitable for adults or families (minimum 12-year-old). Should you require to book for multiple spaces, please check spaces available when registering "Add More Attendee's? Click to toggle, limit X)" lets you see remaining spaces. Adults and U18's need to be booked/paid separately. Meeting Time: 10.00am. Please arrive early to ensure time to park and use toilet facilities. Parking: Free parking available in the Scottish Canals car park, NOT Jacobite Loch Ness Car Park! Craft: Tandem sit on top kayaks are used as default. Bespoke touring kayak, open canoe or paddleboard private trips can also be arranged on request. 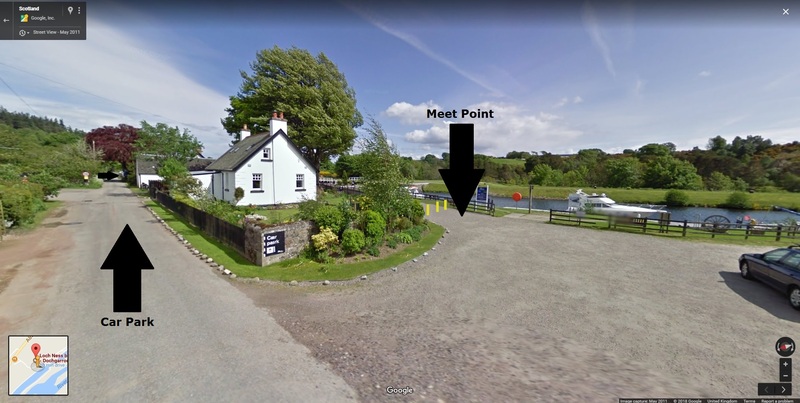 Weather: Should the weather (wind/waves) be unsuitable to paddle out onto Loch Ness on the day, we may have to make the decision to paddle on Loch Dochfour only and/or the Caledonian Canal instead.